The Council of Higher Secondary Education, Manipur (COHSEM) is the body responsible for declaring the Manipur Board HSE result 2019. The Manipur Board Higher Secondary Education (HSE) or Class 12 result 2019 will be declared by the first week of May. Students will finally be able to view the outcome of their yearlong hard work in the form of Manipur Board HSE result 2019. COHSEM will also release the Manipur Board HSE 2019 result on its official website. This will make checking of the Manipur Board HSE result 2019 really convenient for the students. Students can alternatively also opt to check their Manipur Board Class 12 result 2019 on this page. Upon formal declaration, JagranJosh will also provide live link to check the Manipur Board HSE result 2019 on this page. 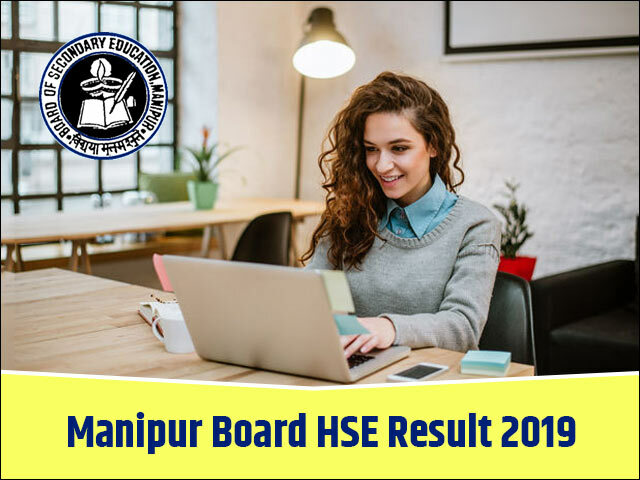 You should, therefore, bookmark this page to stay updated on all the news and events related to Manipur Board HSE result 2019. The schedule of Manipur Board HSE result 2019 has been released by Manipur. But COHSEM has not disclosed any information regarding Manipur Board HSE result 2019. Soon after the conclusion of the exams, a number of speculations will be made about the declaration date of Manipur Board result 2019. Experts predict that the Manipur Board HSE result 2019 will be declared as per the scheduled date annual academic calendar so that students can apply to higher academic programmes without any delay. Thus, taking cue from the previous year and considering the opinion of the experts, the Manipur Board HSE 2019 result can be expected by the first week of May. Once announced formally from the Babupara, Imphal office of the Manipur HSE Council, the result would be available for the students on this page. The students will be able to check their Manipur Board Result 2019 quite easily on this page, without any delays. Until then, we would be sharing all the latest news and updates about Manipur Board HSE Result here. These updates can also be delivered directly to your email inbox and for this, you can submit your mobile number and email id in the form provided on top. Where to Check Manipur Board HSE result 2019? The students can easily check Manipur Board Result 2019 on the official website of the board. The Council of Higher Secondary Education, Manipur (COHSEM) will announce the Manipur HSE Result 2019 on their official website http://manresults.nic.in/. Alternatively, to avoid any delays or technical problems, the students can also check their Manipur Board HSE Result online on our website by visiting manipur12.jagranjosh.com. To check the Manipur 12th Result 2019, the students need to fill up an online form with their details including name, address, and roll number, date of birth, email address, location and also stream. The students are advised to keep their roll number and other details safe in order to avoid any type of confusion or other problem while checking results. The form is provided at the top of this page. Being a very important landmark in the academic career of the students, it is quite natural for students to be a little nervous prior to the declaration of Manipur Board HSE Result. To help in releasing some of this pressure, we have presented the cumulative data of last few years' which demonstrates the performance of students in Manipur Board Results. These statistics will help students understand the checking pattern followed and in turn aid in raising realistic expectations with regards to the upcoming Manipur Board HSE Result. The Class 12 examinations were held from February 19, 2018 to March 28, 2018. Over 28,000 candidates had appeared for the Higher Secondary Examination (HSE) this year at various centres across the state. Last year, the Council had announced the Class 12 result in May. The statistics of Manipur Board result for the last year is given below. What after Manipur Board HSE Result 2019? Post the declaration of Manipur Board HSE result 2019, students should download and take a printout of the result page for future purposes. The Manipur Board result 2019 for Class 12 will be available through the above link provided in this page. The downloaded copy of the Manipur Board HSE result 2019 will act as a provisional result status until the original marksheet are issued by COHSEM. The original mark sheets will be delivered to the respective institutions within the stipulated time after the declaration of Manipur Board HSE 2019 Result. Certain students may be unsatisfied with their marks in Manipur Board HSE result 2019 and believe that their answer scripts have not been properly evaluated. Such students will have the option of getting their answer sheets re-evaluated and/or re-checked. The students can take benefit of this particular provision by paying a nominal fee as directed by the COHSEM and submitting an application through their respective schools/institutions. The Manipur Board also conducts supplementary exams for those students who fail to achieve good marks. This exam gives the candidates with a second chance to improve their scores in a single or multiple subject(s). Students can apply for appearing in the supplementary/improvement exam of Manipur HSE board 2019 by filling in the application form that will be made available on its official website. Established in the year 1992, the Council of Higher Secondary Education, Manipur is the primary custodian of higher secondary education in the state of Manipur. The council was incepted through Manipur Higher Secondary Act, 1992 (Manipur Act 4 of 1992), after which the responsibility of handling +2 courses in the state was entrusted to it. The Council conducted the Higher Secondary Examination, 1993 as its first public examination in the state. Since then, every year, the COHSEM conducts the annual HSE Board Exam for Class 12 students in the state. The Manipur Higher Secondary Exam (HSE) result 2018 has been declared on the official website, manresults.nic.in.